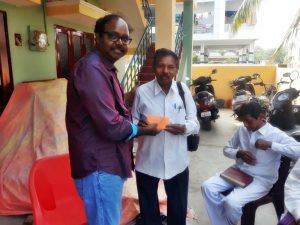 Through a Christian friend in India, Covenant Messenger Ministries has for years been supportive of several Pastors of small churches in his part of India. 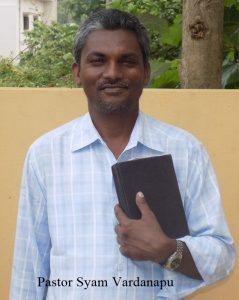 The Christian friend’s name is Kiran Babu, a student at a university who is studying law and has hopes of earning a degree to become a lawyer, specializing in representing Christian laypeople and Pastors. Most of the population of India practice Hinduism while 14.2% adheres to Islam. Christianity is the 3rd largest religion and has to endure much persecution by the other two religions. Up until a couple of years ago the area in which Kiran and his family lives had been free of persecution by Hindus and Muslims. However, that is changing. Recently some Hindus came by night and set fire to Kiran’s motorbike, completely ruining it. Kiran has asked that his Christian work not be put on Facebook because of threats he has received in the past. However, he has given us permission to let others know of his work on our web page because enemies of Christianity seldom read ministry pages on the internet. 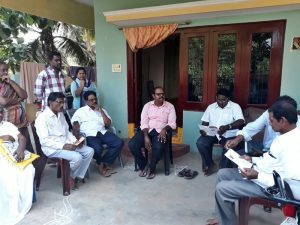 Kiran and his family, most certainly the pastors and their congregations, would welcome any and all support given to them in order to continue the work in India. Please consider praying for them on a regular basis and if you can, give financially through this ministry. 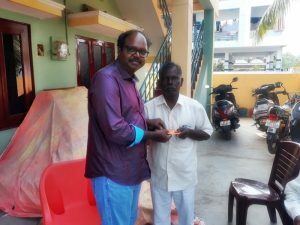 Click on the link below to give and we will see that it gets to Kiran. Thanks and God bless you. 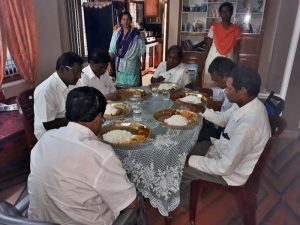 Brother Kiran Babu and his family are hosts and serve the pastors a meal every month. Here they are seen saying Grace before eating. 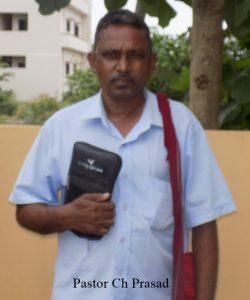 In times when a Pastor can feel isolated, needing encouragement and support from others of like faith, it is rewarding to know there are Christian men and women like Kiran and his family who have a burden on their hearts for those same Pastors. 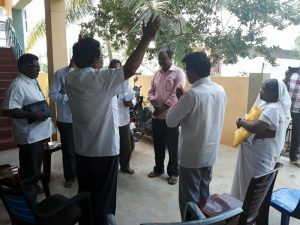 Here they are seen at Kiran’s home during a monthly meeting, sharing experiences in fellowship. 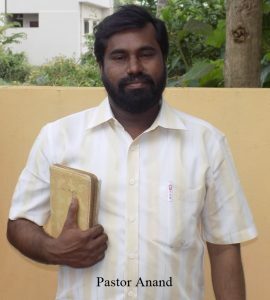 Pastor Anand, being a son of a Pastor, initially living a nominal Christian life, but after his father passing away, he recommitted his life to Jesus and started his Ministry. 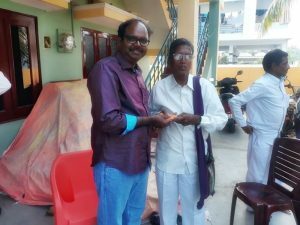 Pastor Ch Prasad has been serving the Lord over 25 years among Hindu people exclusively in Villages in coastal areas. 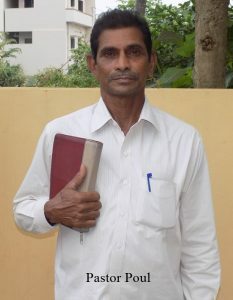 Pastor Poul has been serving the Lord among Hindus. 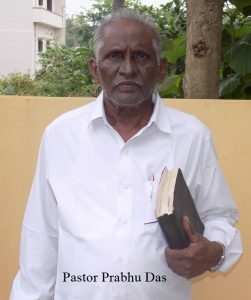 Pastor Prabhu Das has been serving the Lord over 30 years. 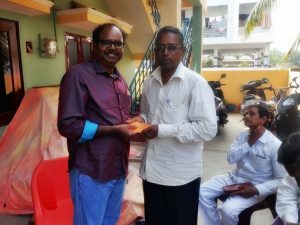 Pastor Syam Vardanapu has been serving the Lord over 15 years.